I love that from the first stroke of the doefoot applicator, I get enough pigmented colour to cover all the discolouration and dark spots on my lips. It can be built up a little for an even more dramatic red. It does wear off a bit from eating and drinking but doesn't disappear completely, so you can be a little lazy and get away with skipping re-application if you wanted to. 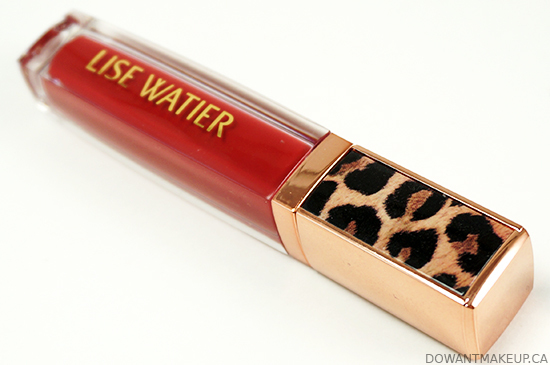 I don't even particularly like animal print, but I adore the packaging of the Féline collection. The leopard print has subtle tones and brushstrokes to it in order to more closely resemble a fur texture. And of course, the rose gold finish on the cap is so on point. 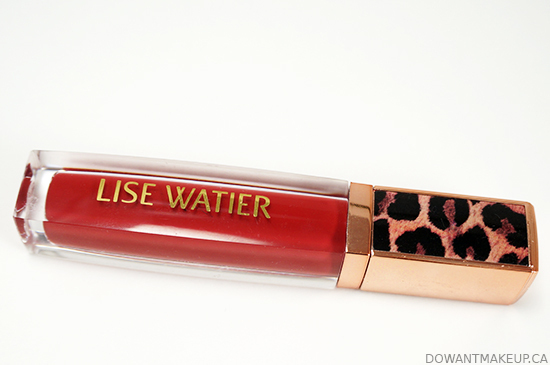 Overall, Lise Watier hit it out of the park with the Féline Lip Lacquer in Rouge. 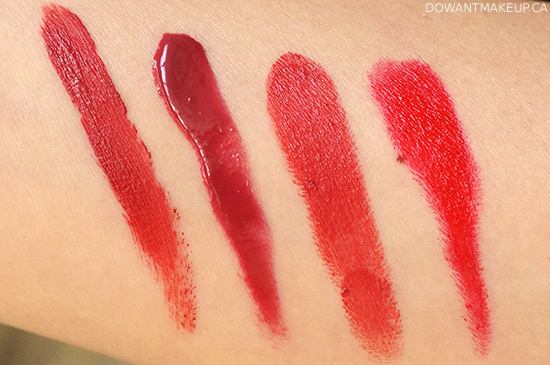 The highly-pigmented, deep, neutral red is such a stunner and would suit a wide range of skin tones. I think there is a slight trade-off between comfort and longevity here--usually the super long-wearing, never-budge lip products are more drying. Rouge lasts fairly well but will transfer readily when eating or drinking. 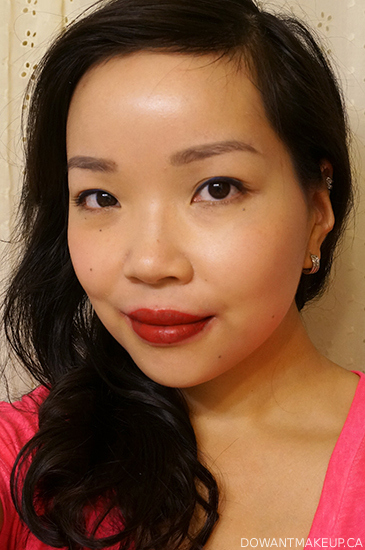 Personally, I'm happy with it because it's made me a believer that mattes can play well together with very chronically-dry lips. 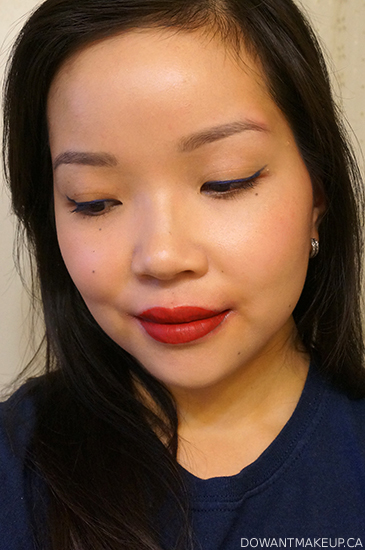 If you are looking for a fall-perfect lip colour, this is definitely one to check out.